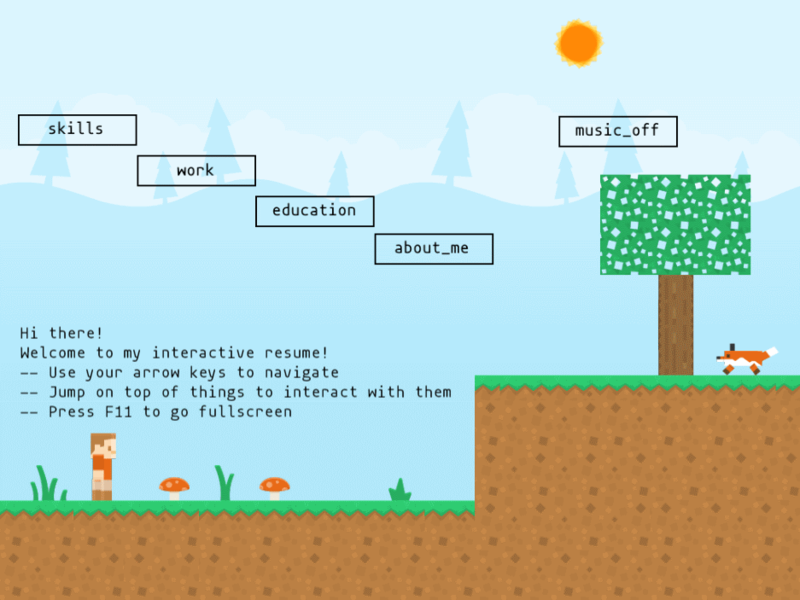 I developed an interactive version of my resume in the form of a platformer game. It's browser based and as of now only works on laptops and desktops Mobile/Tablet version is under development. Here it is, take it for a spin! I used GameMaker game engine and programmed the game in GameMaker’s built-in language (GML). The game is basically a glorified finite state machine. The player object has different states(idle, moving etc. ), predefined triggers(events) cause state transitions, provided guards are satisfied and actions are performed on entering or exiting a state, that's the big picture. Music used is an excerpt from the track Crystals by the extremely talented M.O.O.N.